Wedding gifts have been tradition for thousands of years, and the formal wedding registry is approaching 100 since its genius department store invention in 1924. But let's face it - with information at our fingertips and doorstep delivery faster than ever, you've probably scrolled through hundreds of customer reviews, watched lengthy video walkthroughs, weighed side-by-side descriptions and already bought the exact blender of your dreams. So, where does this leave the world of wedding gift giving? Enter, the honeymoon registry. Your mother's wedding registry probably consisted of an assortment of household necessities, from vacuum cleaners to frying pans, and may have even included a couple of extravagant items like fine china or lavish furniture. All good things, but besides fine-tuning your expert consumer skills, the advent of the internet has seen the average age of marriage rise by over 5 years since your parents said "I do." This trend shows no sign of slowing down, and allows each half of the average couple more time to try out independent living, which means that many of the old-school registry items have probably already been purchased (sometimes on both sides!). With today's complex world giving rise to the minimalism movement - in addition to the odd dilemma of having to condense combined household items - many newlyweds are caught asking themselves, "who really wants all this stuff, anyway?" The result is a society that increasingly values experiences over material goods. And if you haven't felt the liberation of owning less and doing more, we encourage you to shake up your methods - a honeymoon registry is the perfect place to start. You're newlyweds embarking on a wild journey together, and your honeymoon is the celebratory experience that will bond you and your spouse in every exciting way possible. Focus on the fun! Crafting a honeymoon registry is the perfect opportunity to cross out bucket list locations, dine like royalty, travel like it's your profession, and just stretch your imagination as to what kind of trip this can be! This adventure will see you two starting your new life as one, and being able to tailor it to include everything your heart desires is an almost unimaginable luxury - almost. Not to detract from honeymoons of generations past, but you have a globe-full of information on sights, hotels, restaurants, events and more readily available, and this is the chance to enjoy it all - together. Sip Spanish wine while staring at the sea in Barcelona, swim with sharks in New Zealand, or have sleeping bags sent for your hike through Chile. Visit temples in Japan, people-watch over a fancy breakfast at a Parisian bistro, or surf and snorkel in the Seychelles. Get the drift? 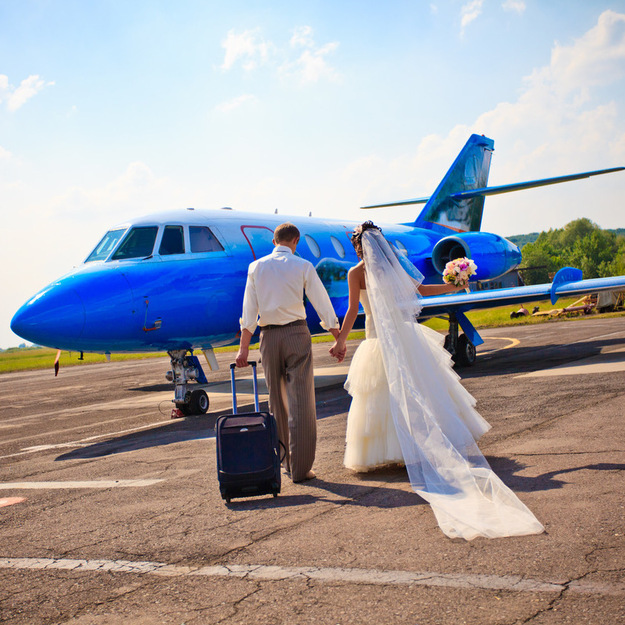 A honeymoon registry allows you to expand your horizons as to what you thought your honeymoon might look like. The best part? All of the experiences you enjoy and memories that you make will be kept and shared with whomever fulfilled each particular gift. A revolution in wedding gift giving, the honeymoon registry lets your friends and family feel like they're not only contributing, but joining you in this journey as honeymooning newlyweds. Better than the blender, after all.